A password hash generated using algorithms like MD5, BSD, SHA1 or other default hashing algorithm is said be a weak hash, since there are known attacks. Its important to using a hashing algorithm like SHA-2 ( SHA-224, SHA-256, SHA-384, SHA-512 ) since till date there are no known attacks. 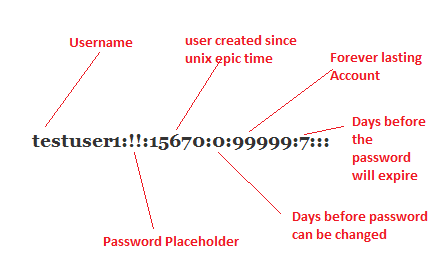 On a UNIX based operating system , passwords are hashed and stored in either /etc/passwd or /etc/shadow file. 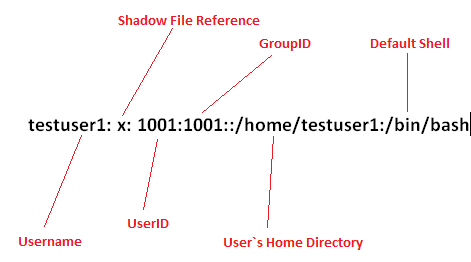 If the /etc/shadow file is missing on the system, it can be generated by running the command pwconv, which will move the password hashes from /etc/passwd to /etc/shadow and then place character 'x' as a placeholder in passwd file - indicating that the password hash is stored in shadow file. "NP" or "!" or null - No password, the account has no password. Our shell script should skip such password hashes and only report those which are actual hashes using weak hashing algorithms. Read the files /etc/passwd and /etc/shadow line by line and use the below code to analyze the hash. echo "User $accname is not using $algoname hashing algorithm." No output from the above script means, all users on the system are using SHA-2 based password hashing algorithm. You can modify the parameters in RED to detect other algorithms also.